While the college admission process is a well-known student stressor, a lot of people don't realize how much pressure it puts on parents as well. Not only are there financial factors to take into consideration (and let's face it—they can make your eyes water), but there's also the fact that you can only guide your child so far in the process. After that, they'll be navigating solo—perhaps for the first time in their lives. But before you get all misty-eyed or start breaking out the moving boxes (or both! ), one thing you can do is set your child up for a healthy financial future. And you can do this no matter what your financial situation is. How? By learning about the connection between the ACT and scholarships. Spending just a few minutes debunking common misconceptions can end up saving you money—and your child thousands in student loan debts. With that in mind, let's take a look at the myths and realities surrounding the ACT and scholarship possibilities. This is absolutely untrue. This myth arose because the PSAT/NMSQT serves as the test for the National Merit Scholarship, while the PreACT doesn't. Nevertheless, those are the "pre-" tests. 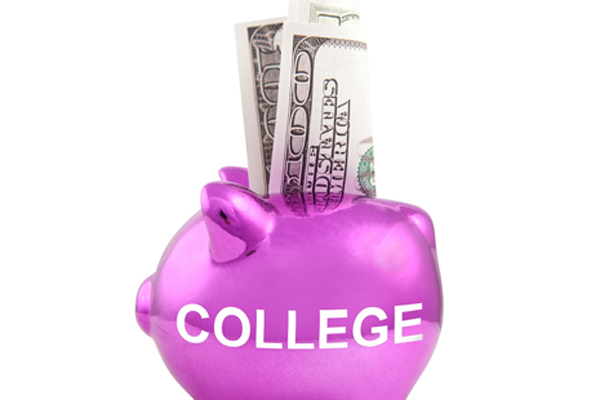 There are thousands of scholarships available for students based on ACT scores. Sometimes the scholarships, particularly those offered by colleges themselves, will be based entirely on ACT scores. In other cases, factors such as GPA, essays, and recommendations will come into play. Bottom line? If you're encouraging your child to take the SAT instead of the ACT because you're afraid taking the ACT will narrow his or her chances at scholarships, don't! Instead, suggest that your child take both an SAT and ACT practice test and see how well he or she does on each "diagnostic." Then he or she can start prepping for their choice of test. Related: How do I choose between the SAT and ACT? The ACT scoring scale runs from 1–36 in each subject area (ACT English, ACT Math, ACT Reading, and ACT Science), with the overall ACT score averaging the sectional scores. Scores above 30 make students extremely competitive, not only for scholarships, but for admission to top universities; after all, scoring above 30 means your student is scoring better than 90% of all test-takers. But does your child need a 30+ score to get a scholarship? Absolutely not! Even though the average ACT score hovers around 21, students scoring in almost all ranges from 14+ can get scholarships based on other application factors. First of all, there's a lot of great ACT prep resources out there that cost absolutely nothing. One of the first ways you can help your student prepare for the ACT is by encouraging your school district to invest in the PreACT (it's only given by schools). Given during students' sophomore year, this test only costs schools $12 a student (and costs you nothing) while introducing your child to the form and content of the test—as well as lighting a fire under him or her to start prepping for junior year college admission testing! Even if it doesn't cost money, ACT prep still takes time, yes. And time is one thing there's never enough of. Without taking time away from your child's schoolwork, though, making ACT prep a priority will pay big dividends in the future, in terms of both college admission and scholarships. And every hour of study counts! Still unsure? Let's take a look at Oklahoma State University's out-of-state freshman scholarship page. If your child scores a 24 on the ACT (and meets GPA requirements), he or she could get $32,000 over four years. If your child brings that up to a 25, though (with the exact same GPA requirements), he or she could get $39,000 over four years. That's a $7,000 difference for one point on the ACT! At the end of the day, prepping for the ACT will come down to your student and the amount of work he or she is willing to put into it. But you should know that there are a lot of tools out there that can help you equip your child with the materials he or she needs to get the ACT scores now that will translate into a happy financial future later. So don't dismiss the ACT when it comes to test-taking options—it just may be the key to landing the scholarship that changes your child's life! And helps you get that beach house, of course. Related: Kick-start the scholarship search on CollegeXpress. Rachel Kapelke-Dale blogs about graduate school admission for Magoosh. She has a BA from Brown University, and did her own graduate work at the Université de Paris VII (Master Recherche) and University College London (PhD). She has taught and written about test preparation and admission practices for eight years.